What is the origin of the pineapple? Does the edible fruit have any nutritional value? 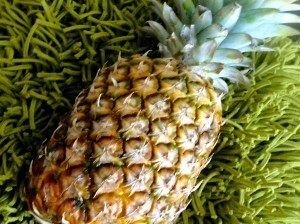 Review these facts about the beloved fruit of the pineapple. Even though the edible fruit is available all year round, its prime harvesting season starts in March and ends in June. Green, brown and yellowing skin forms a rough edged prickly exterior. The pineapple rounds off in the shape of a cylinder. The edible fruit, crowned by sword like leaves, gives way to a fibrous, yellow sweet and sour aroma. 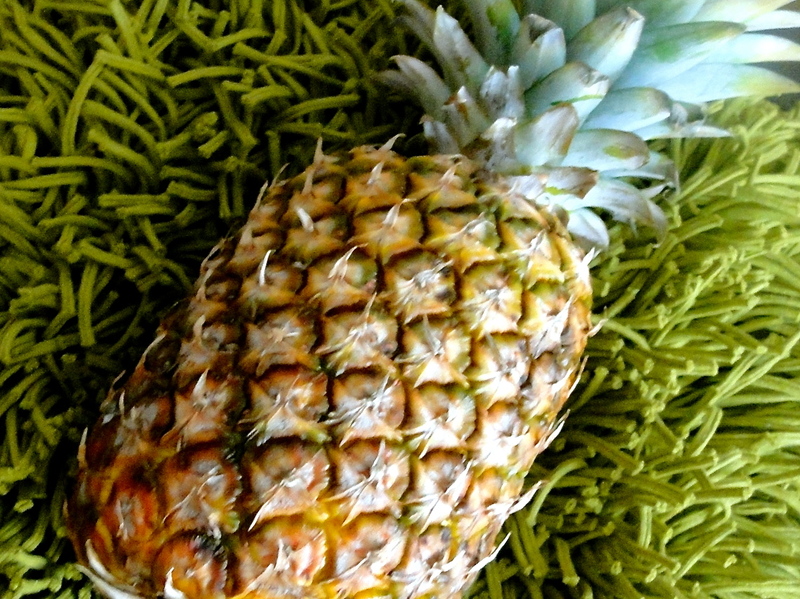 Oxford Dictionary says that the low growing, pineapple is a member of the Bromeliaceae. Legend has it that the pineapple, the international symbol of hospitality was the inspiration of seafaring captains from the 1400s to the 1500s. Upon the return from the Caribbean islands, sailors trophied a pineapple, which often symbolized prestige.